donate to underprivileged children on Long Island. 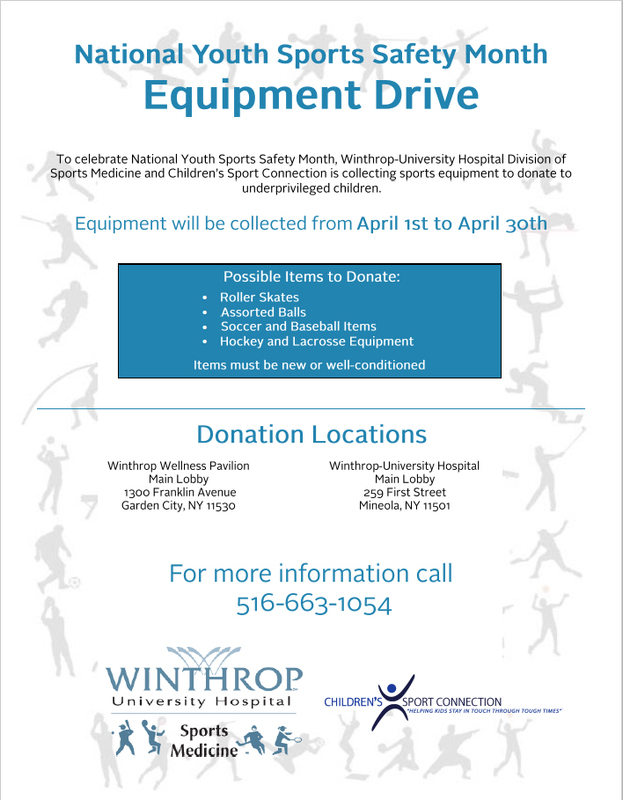 Equipment will be collected from April 1st to April 30th. 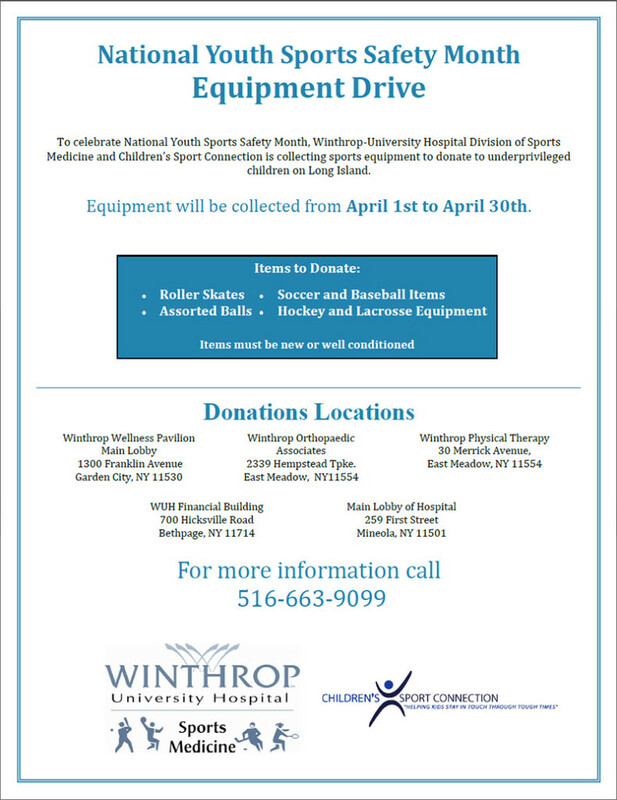 FARMINGDALE – Students at Farmingdale State College are rounding up gear for football, basketball, baseball and other sports to be donated to under-privileged children on Long Island. The students started collecting gently used equipment on Monday, and have since received hundreds of donations. The donation drive is part of a community service initiative within the college. The donations will be given to Children’s Sport Connection, a Garden City-based organization that makes sure disadvantaged children have the gear they need to stay active. Founder Patricia D’Accolti says she was fortunate to team up with the students at Farmingdale. “These students here at this school have really impressed me with their dedication, their professionalism and their willingness to want to make a difference in the community,” she said. 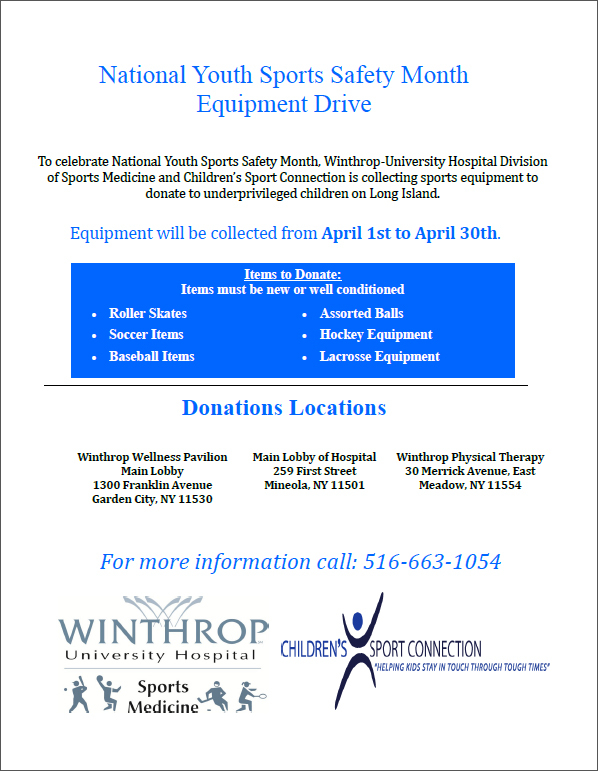 The sporting equipment will go to children in Long Beach and Valley Stream. LIB Magazine – The Children’s Sport Connection Needs Your Help! Farmingdale State College’s Sports Management Club and Sigma Beta Delta in conjunction with Children’s Sports Connection will be asking for donations of sporting equipment for underprivileged youth on Long Island. The Sports Management Club from Farmingdale has participated in other drives to help CSC and is happy to be collaborating with them this time. 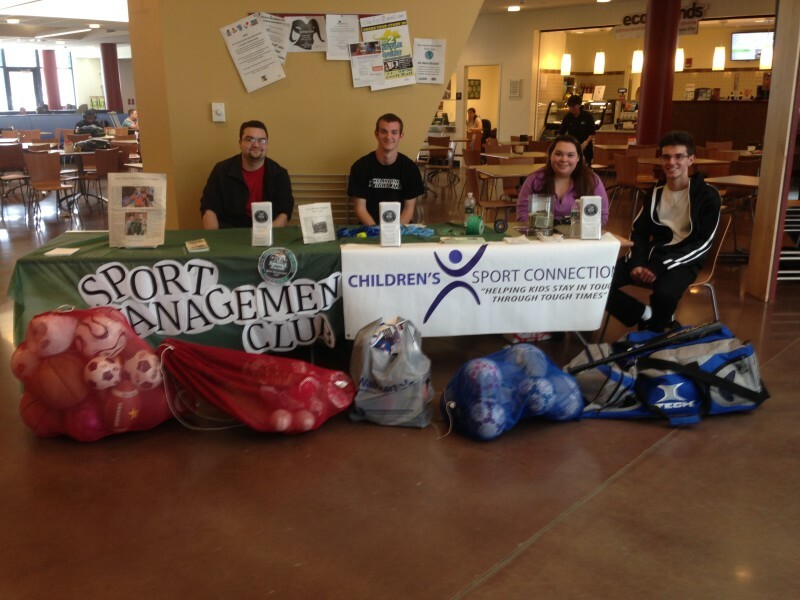 Sports Management Club President PJ Waszkiewicz feels “playing sports can help many children to learn valuable life lessons.” Along with the Sports Management Club and Sigma Beta Delta, many other organizations are pitching in to help make this drive be a big success. Farmingdale State College, Farmingdale State College Athletic Department, The United Mavericks, Farmingdale PAL, Farmingdale High School Athletic Department, Cascarinos of Farmingdale, the Bagel Hut of Farmingdale, Farmingdale Baseball League and Astoria Federal Business Banking Department are all involved in the campaign. Significant donations have also been made by the Waszkiewicz and Grassi families boosting the drive. “I am extremely proud of all of the students and our sponsors for their support in this effort to bringing hope to many children so they can now play sports with the proper equipment” said Waszkiewicz. This event ends today but there’s still time to make it to the Farmingdale campus. On April 19th, the campaign will be open to the public and take place in the Campus Center lobby from noon to four p.m.
For more information on this event and how you can make a difference, log on and click into their Upcoming Events tab or check out Farmingdale’s activities calendar. 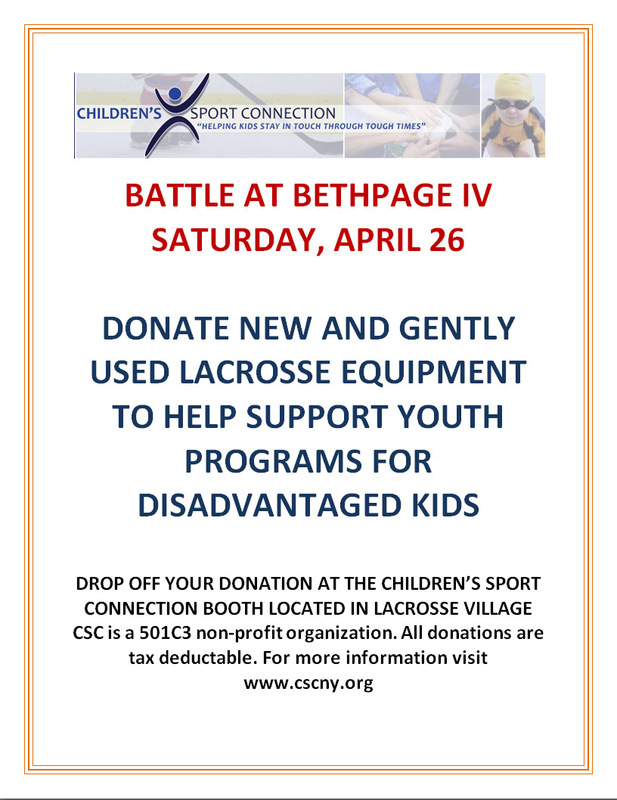 The Teachers Federal Credit Union, Hauppauge Branch, is holding a sporting equipment drive to benefit Children’s Sport Connection on Saturday, May 17th, 2014 from 9:00AM to 12:00PM. A promising future starts with one’s childhood experiences. Living a normal, fulfilling adolescent life helps an individual become a successful adult. Participating in sports is one way to help achieve that goal. Children’s Sport Connection (CSC), a non-profit organization, is looking to help make this possible for children who are in need. By raising funds and collecting gently used or new sporting equipment to donate to underprivileged children who do not have the opportunity to play sports and learn valuable life lessons through sports. Join us as we help many children in our local communities on Long Island!